Congratulations to Lynette and Rowdy on their wedding celebration. Their wedding was selected to be featured within a national publication: Inside Weddings. We met Lynette when we photographed her sister’s wedding a few years earlier. It was great to work with this family again and capture many beautiful moments for them. Lynette and her Mom worked closely with their event planner, Ann Whittington, to pull all the vendors and details together. The challenge for all the vendors was to make Lynette’s wedding look different than her sister’s wedding, even though they were using the same venue and some of the same vendors as they did for her sister’s wedding. You can read all about the details of Lynette and Rowdy’s wedding in the current issue of Inside Weddings. To the family, Thank you for entrusting us with the photography of your daughter’s Bridal Portraits and Wedding. To learn more about our portrait and wedding photography services, please visit our site here or call the studio at 713-461-2862 to schedule a personal consultation. What is a CPP (Certified Professional Photographer)? If you visit our websites often, you may have seen a new logo or professional designation by our names: CPP. What is a CPP? What does that really mean? CPP stands for Certified Professional Photographer. Certification is only granted by Professional Photographers of America (PPA), the world’s largest non-profit association organized for professional photographers. Michael Carr, CPP, and Lisa Carr, CPP, recently both earned this professional designation. We had to pass a written question test, as well as submit a portfolio or body of work for review. The portfolios had to demonstrate specific lighting, posing, color balance, and harmony in our photographs. In February 2016, over 80 photographers submitted their portfolios, and only 50% passed and earned the CPP designation. To maintain this credential, we have to re-certify every 3 years. This process insures photographers remain current in our photographic field and current in our craft. To view more of our work and learn more about our Family Portraits, Business Headshots, and Editorial Portraits, visit our site: www.michaelcarrphotography.com or call us at 713-461-2862. 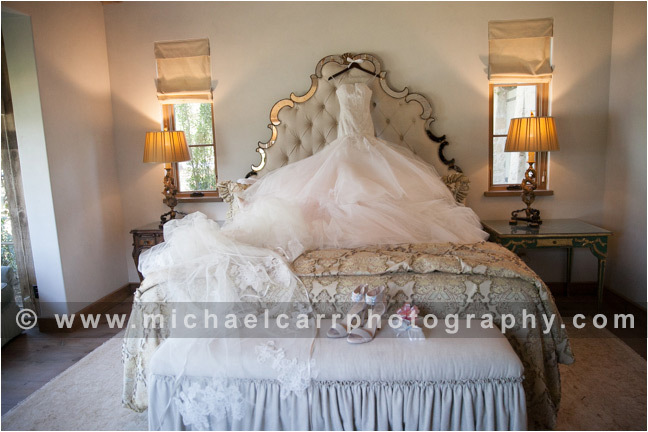 Houston wedding and portrait photographers, Michael and Lisa Carr, recently photographed Lynette & Rowdy’s outdoor wedding. We met Lynette a few years ago when we photographed her sister’s wedding, and hit it off immediately. Lynette & Rowdy love the outdoors and knew that Houston Oaks would be the perfect venue for their outdoor ceremony and reception, plus there is enough room there to accommodate her 1000+ guest that were attending. They contacted Ann Whittington to plan and coordinate this wedding. Their ceremony was under a huge oak tree that was adorned with tons of roses and flowers on the branches. After the ceremony, guests moved to the tented cocktail area, then over to the outdoor reception under the lights. Suspended over the dance floor was a custom floral and Einstein light bulb arrangement. Plants n Petals and their team handled the décor and florals. The guests were able to dine on custom tables made especially for this outdoor reception on the lawn. Each leg on each table had to be individually adjusted so the table would be level on the ground for the guests to dine comfortably. Talk about attention to detail required! The trees and dancefloor all had custom lighting to give a warm and beautiful nighttime ambiance. The guests danced non-stop all through the evening under the stars. After the last dance, guests gave Lynette and Rowdy a rose petal send off and then watched a custom fireworks show on the golf course before they departed in a personal helicopter. Talk about a one of a kind, spectacular wedding event! All the guests have commented that this was a fairytale wedding. Yes, it certainly was! Congratulations Lynette and Rowdy on your wedding celebration. It’s Time !!! Your wedding images (part 1) at Houston Oaks are now active. Thanks to all the wedding and event professionals who worked hard to make this event spectacular and memorable for the families. Please enjoy your wedding images over the weekend. Here is a sneak peek to part 2 .